Mz Jens Good Finds – All things books, fashion, home and more! I received this book from my Mom for Christmas and I was super excited to read it! I have a soft spot in my heart for books with 3 novellas! I dove right in and immediately fell in love with the characters. I found myself reading this book on my lunch at work and basically anytime that I could find a spot to read, you would find me reading this book. You find out that Julie, August and Rita are all related which is awesome considering that the first novella starts off 40 years earlier. I really liked seeing how the roads evolved and how things were much different in Alaska in the first novella from the last. This book is a very easy read and you will fall in love with all of the characters! I chose to review this book on my own and these are my own opinions. I gave this book 5 out of 5 stars! 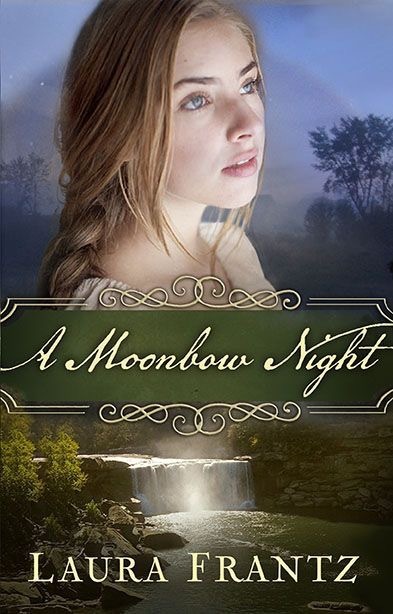 As I have been reading “A Moonbow Night”, I keep thinking that it’s going to get better. I am going to like the book. It’s like the little blue engine saying “I think I can”. I keep reading and sometimes I feel as if I am going nowhere. Looking at the cover and then reading the back of the book made me really want to read this book. I believe that this book is really a good book. I am just having a hard time reading the language that is used throughout. It could be that I am reading on my lunch at work and my brain is so tired that I don’t have much energy to even make the words make sense. I don’t know at this point, but I am going to continue reading until I finish. I have been reading this book now for 3 weeks and for some reason the language of this book just is not getting through to my brain. I have read other books by Laura Frantz and liked them a lot, but for some reason I just am having a hard time with this book. The storyline is really good and I will continue reading it, but because of me having these issues I am going to give the book a 3 out of 5 stars. I received this book in exchange for my review from Revell Reads. This book was another great one! I’ve always liked reading Denise Hunter’s books and this one was no exception. The cover caught my eye and then the story drew me in. i had already read a story about Riley’s brother Zac earlier this year which is what also led me to want to read this story. Being that Riley always had feelings for Paige hits home for me because I have had feelings for someone for a long time and have never acted on it. I wanted to know more about this story and the more I read the more I couldn’t put it down. There were a lot of great moments, a lot of funny moments and even some sad moments throughout this book. Once I got closer to the end, it seemed to lose something that the rest of the book had. It wasn’t drastic so it didn’t make the book bad, but it did disappoint me. I ended up giving this book a 4 out of 5 stars on Goodreads. I received this book in exchange for my review from Book Look Bloggers. From the moment that I started reading this book, I knew that it was going to be a book that I liked and would remember for a long time. I thought that having Lucy not being able to remember what had happened to her and her ex fiance Zac was genius. This gave the book a major hook and kept me entertained throughout the whole book. It was nice seeing the tension between Lucy and Zac although they had not been together. Zac still cared about Lucy and it showed in this book. It did not take me very long to read this book as it was a very fast reading book. I am a fast reader, but sometimes books take me a long time to get into if the plot line is not active enough. This book definitely had a good plot line and kept me hooked. The characters were great, the setting was great and the twists were great. It might seem a little redundant, but this book was one of my favorites. I received this book in exchange for my honest review from BookLook Bloggers. Rent Dirty Dancing for only 49 cents! When I seen that Purex Insiders was doing a promotion for the Purex plus Clorox2, I knew that I had to get in on this one. I am always spilling food and drinks on me. I am just a clumsy person. Anyway, I think the night that I received this in the mail I was eating chocolate ice cream and some dropped on my shirt. I always do this. This time though I was able to put my shirt in the washer and try out this Purex plus Clorox2 that I had just received. I didn’t treat it or anything because I wanted to see how this worked. It came out without any chocolate on it! I really like this detergent. It also smells great which is a great addition to the benefits it already has of getting out chocolate and other stains. I received this product from Purex Insiders for my honest review. Jack, Evie, romance, kids and more helped to make this book a great book that grabbed my attention throughout the whole book. I was reading this book every chance I got! I loved the concept of Jack and how he had an open house and helped everyone in the department building. He just had a great concept around him and I felt like that was the heart of the book. I felt for all the characters when they went through all the twists and turns in this book. Evie and Jack had such great chemistry and make me want to continue reading the book. Jack’s niece was such a doll! She was so cute and was a great addition. Overall, this book was really good and I would recommend it to anyone. I give this a 4 out of 5 stars. I received this book from Book Look Bloggers in exchange for my honest review.